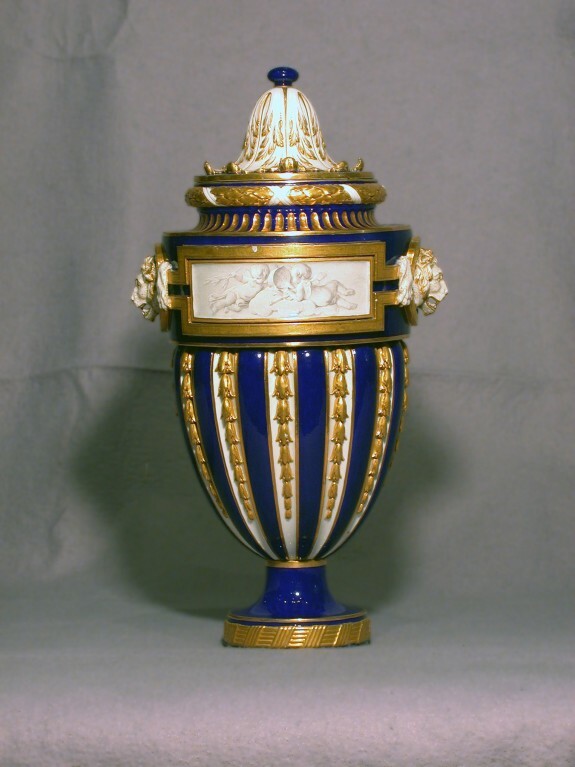 Description This urn-shaped vase with lion heads is decorated with the "bleu nouveau" ground color and with grisaille panels depicting putti and trophies. 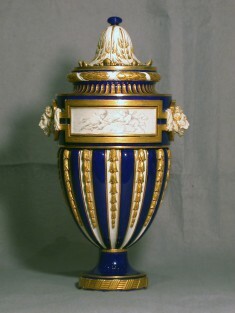 Provenance E. M. Hodgkins Collection, Paris, no. 58 [date and mode of acquisition unknown]; A. Seligmann, Rey and Co., New York; Henry Walters, Baltimore, 1928, by purchase; Walters Art Museum, 1931, by bequest.